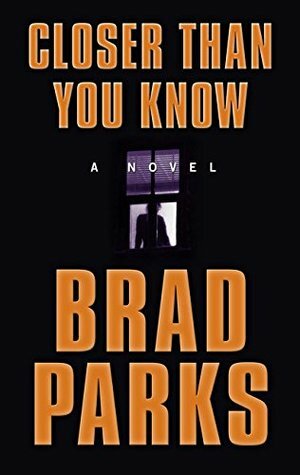 Today I'm featuring an upcoming read, Closer Than You Know by Brad Parks. The excerpt shared is from the large print version I borrowed from the library. He was dressed in his best suit, the one he usually reserved for funerals. She wore pearls. It made her feel more maternal. Arm in arm, they walked up a concrete path toward Shenandoah Valley Social Services, whose offices filled a cheerless metal-sided building. There was no landscaping, no ornamentation, no attempt to make the environs more inviting. As an agency of county government, Social Services had neither the budget nor the inclination for such gilding. Its clientele was not there by choice. The first thing that strikes me is the difference in the descriptions of the couple's outfits and the place they are headed to. I wonder who these people are, who seem to take such care in their appearance and why they are going to a apparently run-down, impersonal Social Services office. Perhaps they are down on their luck. I imagine they want to make a good impression. This First Chapter ~ First Paragraph post was originally composed and/or compiled and published by Catherine for the blog, bookclublibrarian.com. It cannot be republished without attribution. Sharing this original post on Twitter, Google+ and/or other blogs with appropriate recognition is appreciated. I think they going for an adoption procedure! I love that opening - and I'm with Mystica in that I think it's to adopt a child - the maternal pearls I suppose. Interesting, I would want to read on. 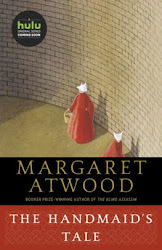 The cover makes me think it's more sinister than an adoption process, so yes I'm intrigued. I do want to read on to find out more. It's an unusual, and intriguing start to what sounds like a great read! Happy Tuesday! 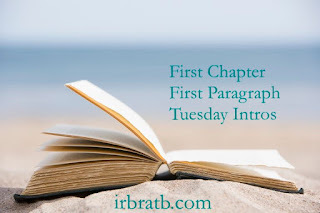 Here's my post for this week. Hope you're having a good week! I am definitely curious about what is happening here. Thanks for sharing, and for visiting my blog. Great intro, I'm thinking this couple is pretending to be someone they are not? Not sure why, but I do. The opening makes me wonder what they're doing at social services ... but I too think it's probably an adoption. That's definitely an interesting beginning. I'm very curious about just what they're doing there. I'm wondering why they are there so I'd keep reading. This one is on my stacks. Looking forward to your thoughts.